Renderplas PVC Dry Lining plastering beads provide the perfect solution for skim plastering and drywall applications. 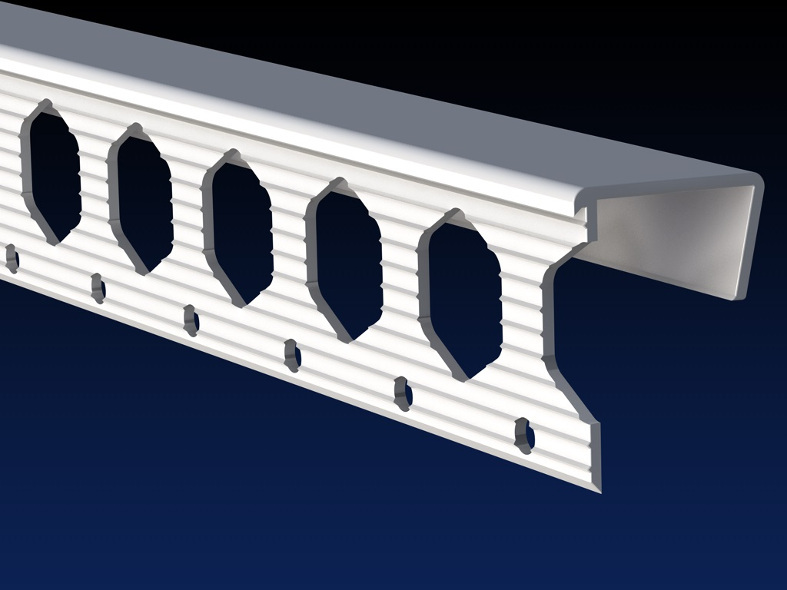 The dry lining beads are made from cost-effective recycled PVC, so they offer a value for money alternative to metal beads. The dry lining beads are guaranteed not to stain during a lengthy drying out process or in a situation with high moisture or salt - kitchens, bathrooms and pool enclosures for example. 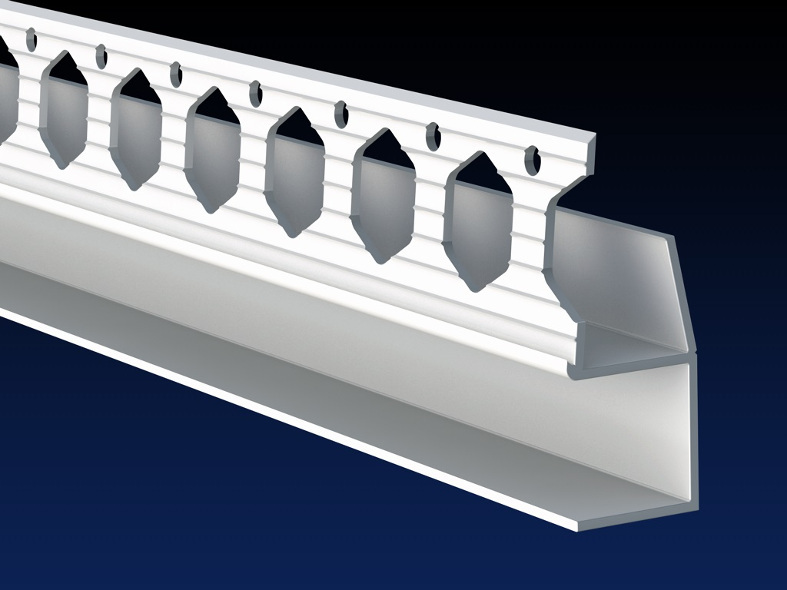 PVC dry lining beads are particularly well suited to schools, prisons and hospitals as there is no threat to safety by heavy impact or if pulled out of the wall. 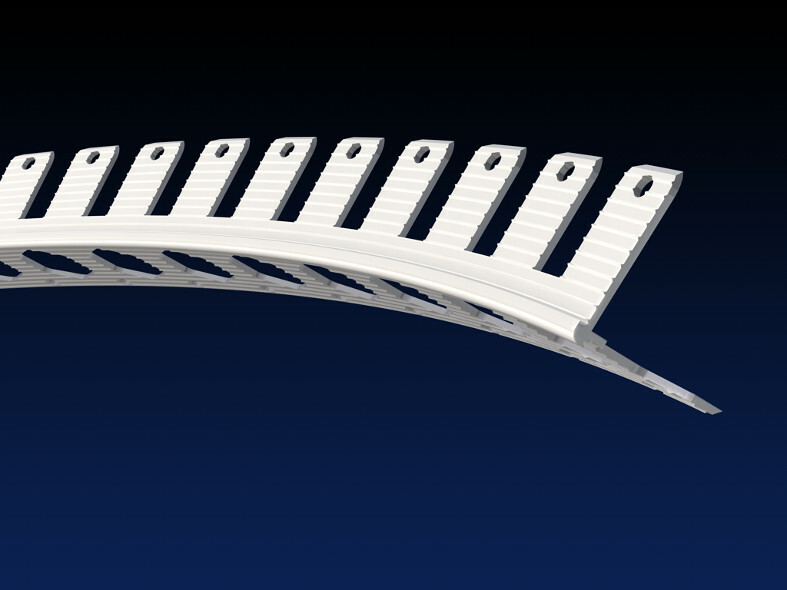 Arch beads create smooth curves in arched reveals. 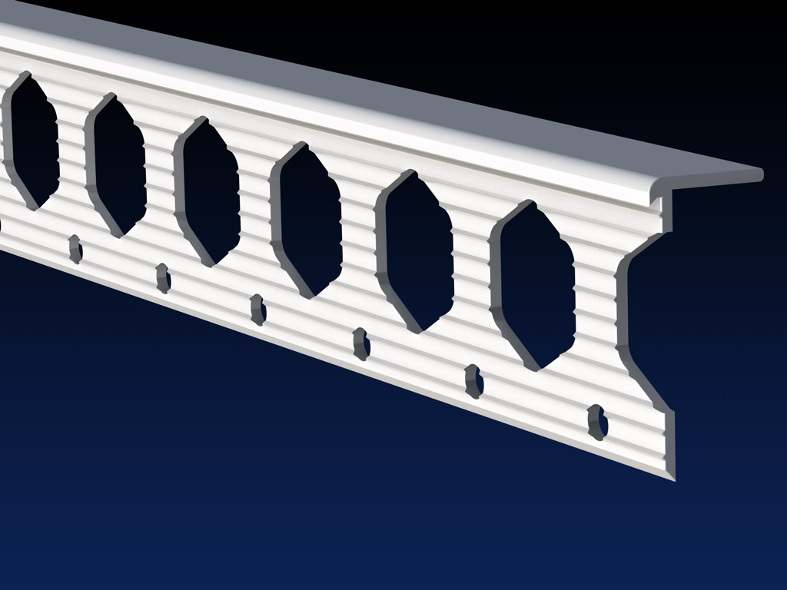 Corner beads provide a clean edge and impact protection on external corners. 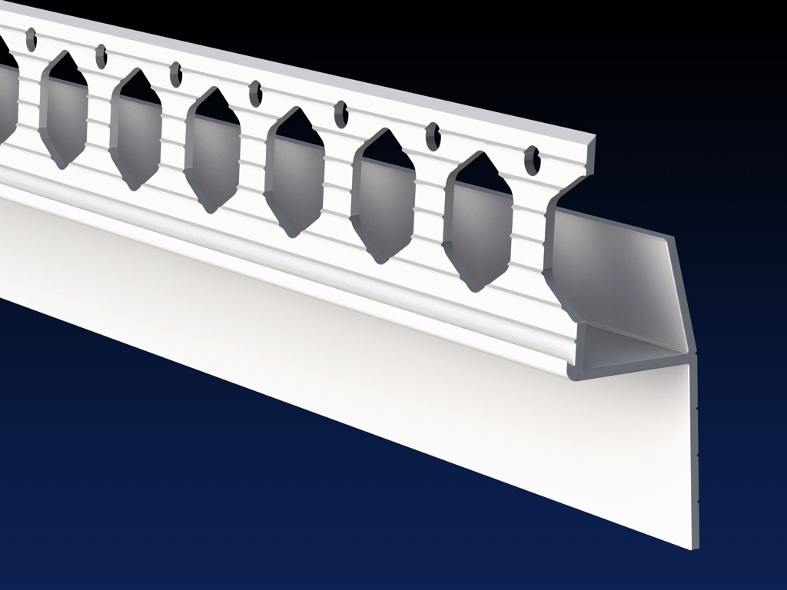 Edge beads provide a clean attractive stop to plasterboard where it meets a different finish, brick wall or door frame for example, and prevent cracking. 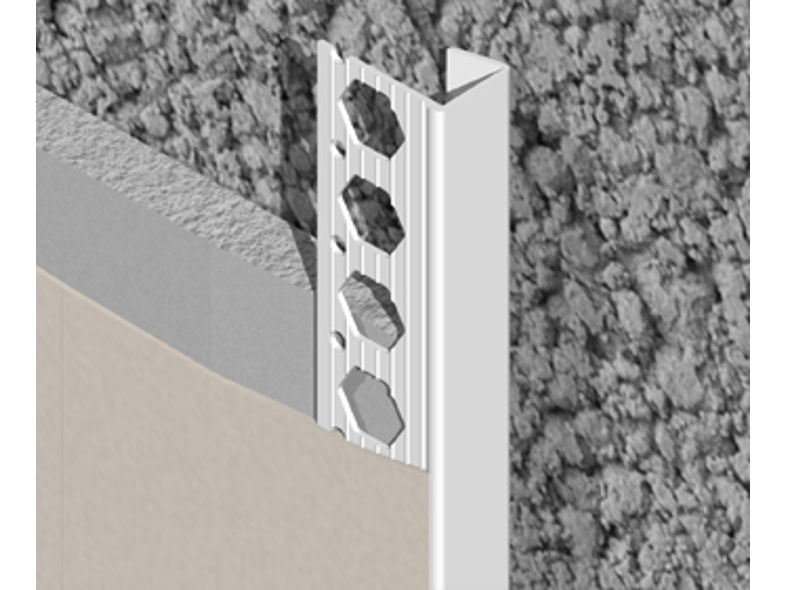 Shadow Gap beads provide a shadow gap between the wall and ceilings, skirting boards and door frames. 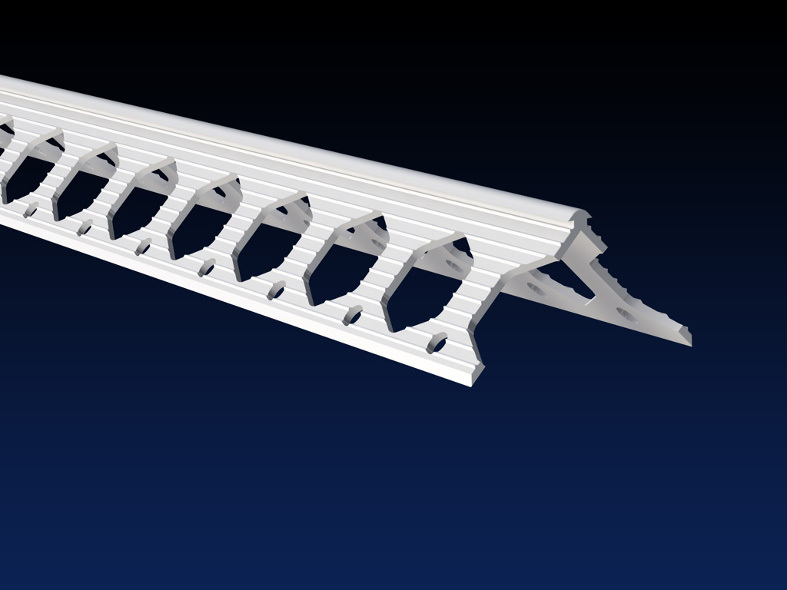 The Renderplas dry lining range is manufactured from exterior grade, impact resistant, UV stable unplasticised PVC. The PVC offers several benefits over metal beads by giving excellent protection from impact but providing clean edges that often do not need painting. PVC beads are guaranteed to never rust and not stain like metal beads can do in lengthy drying periods. Dry lining beads are the perfect choice for situations with high moisture or salt such as kitchens, bathrooms and pool enclosures, but are also suited to general plasterboard applications. PVC beads are fast and easy to cut to length with tin snips or a fine toothed hacksaw and they are completely safe to handle during application as they do not have the razor sharp edges of cut metal. Ideal for use in schools, hospitals and prisons as they do not provide any threat to safety either after a heavy impact or if pulled out of the wall.